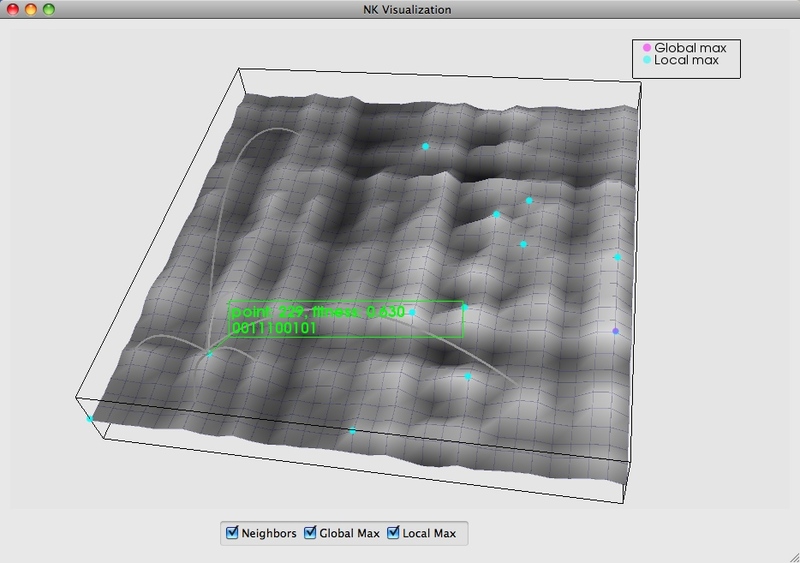 This package contains a 3D visualization tool for NK fitness landscapes. 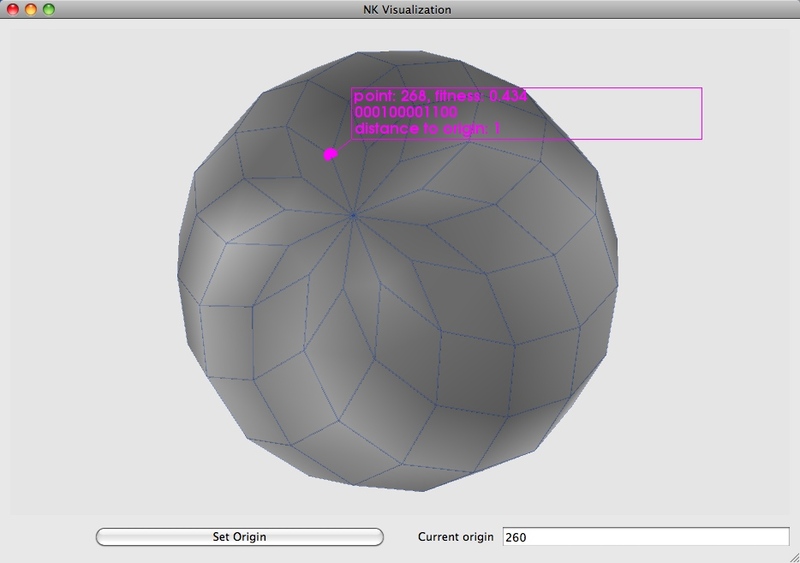 Two types of visualizations are provided: a rectangular visualization that displays the whole space and a spherical visualization that shows a local neighborhood around an origin point, for the given N and K values. An example visualization depicts waveriding where Competitive Multi-Agent Search proceeds by finding points in the boosted area. Erkin Bahceci, PhD Thesis, Department of Computer Science, The University of Texas at Austin.